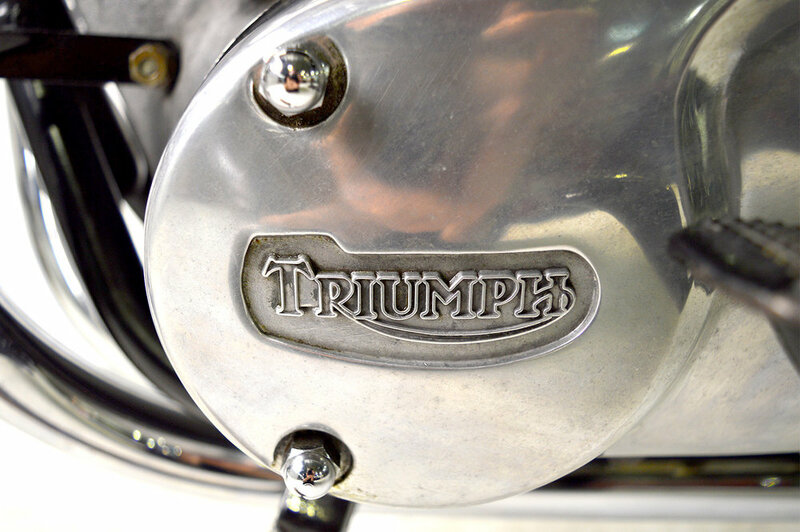 One of the very great icons of motorcycling is the Triumph Bonneville. It epitomises the heart and soul of the sporting motorcycle, the first Bonneville was the apogee of hyper sports bikes in the late 1950s. 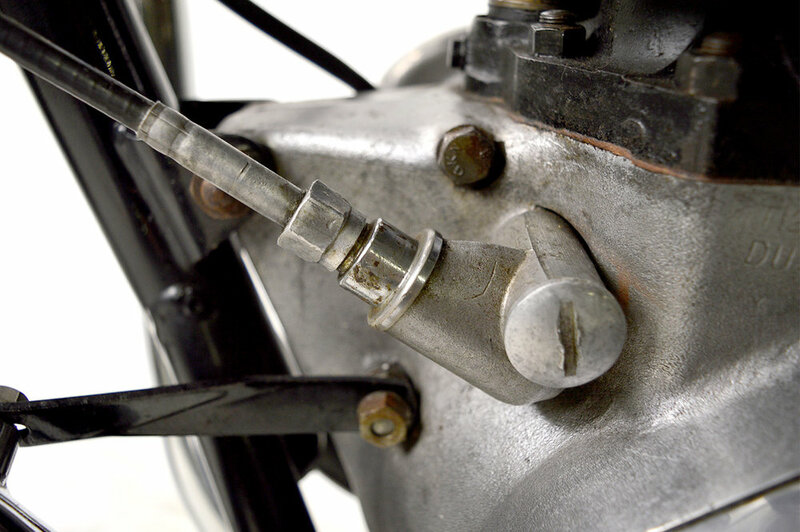 The original T120 Bonneville was launched in 1959 as a high-performance, dual-carburettor version of Triumph's existing 650cc twin and named after the record-breaking feats on the Bonneville Salt Flats by Johnny Allen. 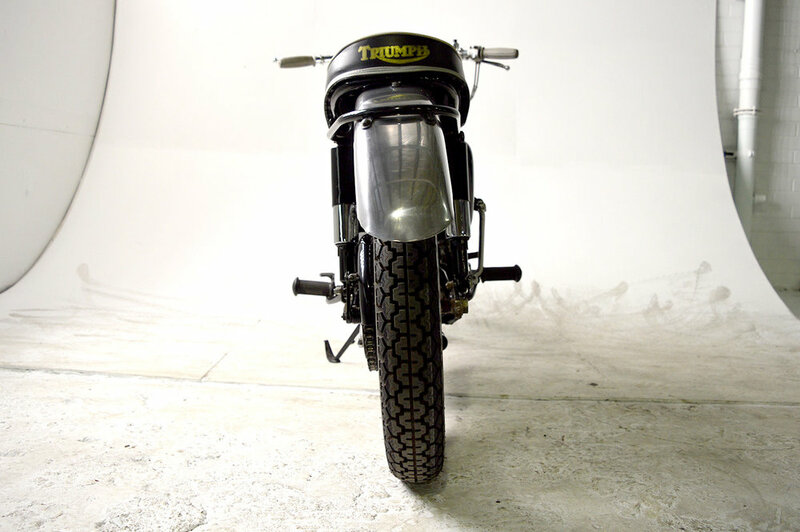 The T120 was a huge hit for Triumph, especially in the USA and remained successful until production eventually ceased in 1983. 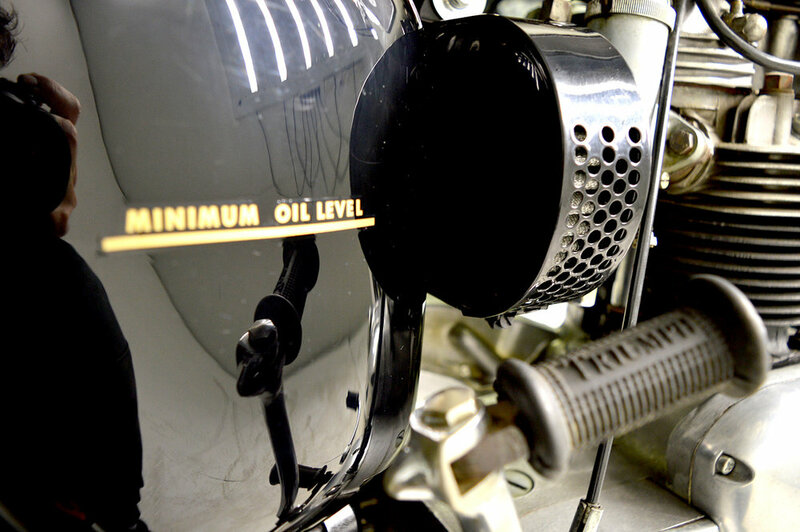 This off road tracker is a beautifully looked after piece of history that is incredibly rare, you would be very hard pressed to find any others in this good condition. 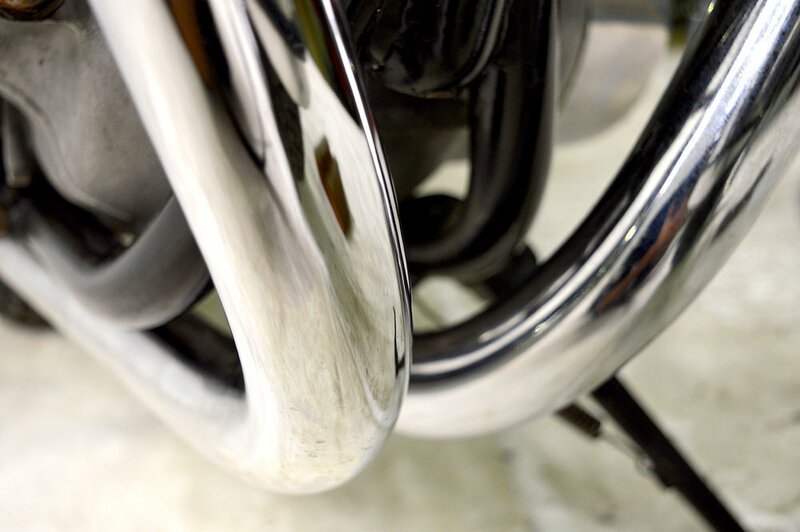 All parts are genuine stock that look immaculate and function perfectly. 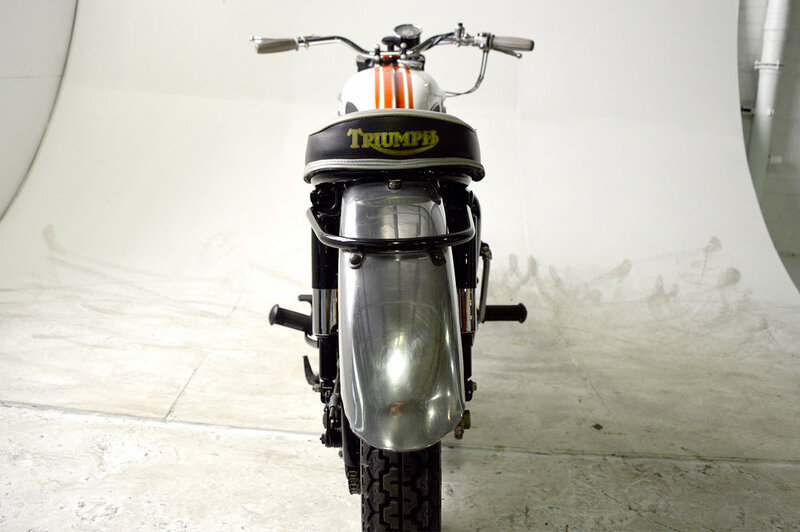 It features all the things that make Triumph Bonnevilles so desirable, fitted with a parallel twin 650cc engine that pumps out 68HP, its light weight keeps it manoeuvrable through the corners. 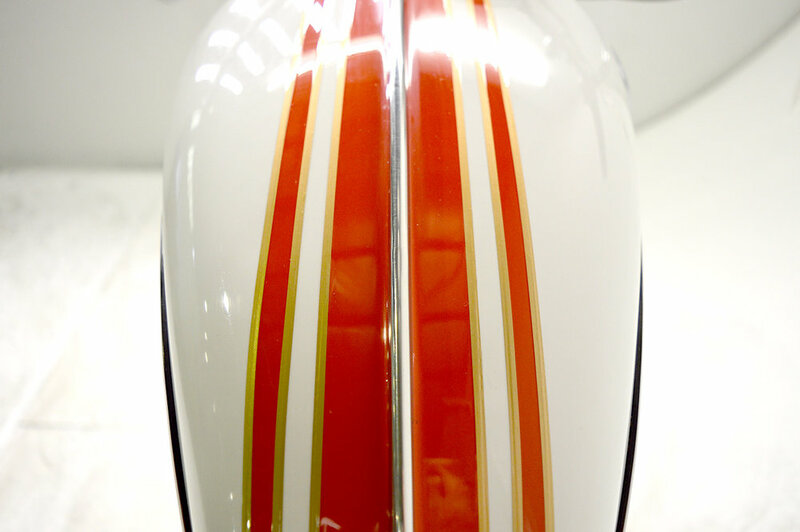 White and Orange striped tank paint job is period correct factory standard, the chrome straight through exhaust and fenders are all in amazing condition. 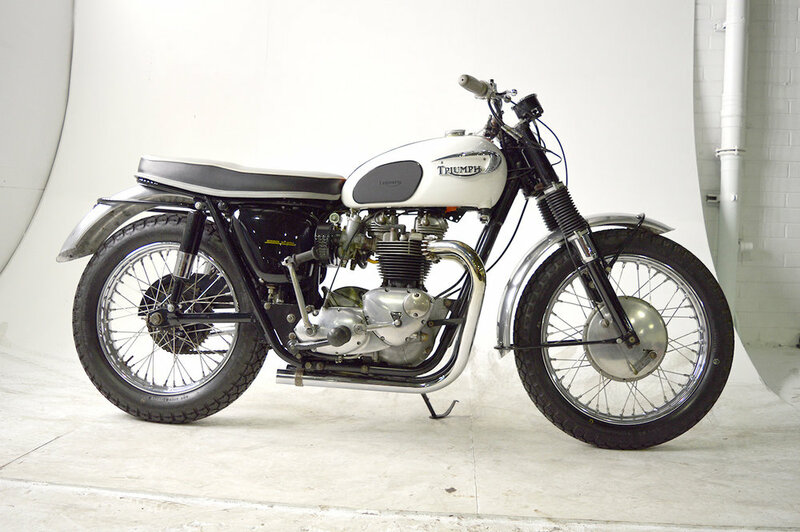 If you are in the market for a classic Triumph of this era then look not further, this is an incredible find for any collector.